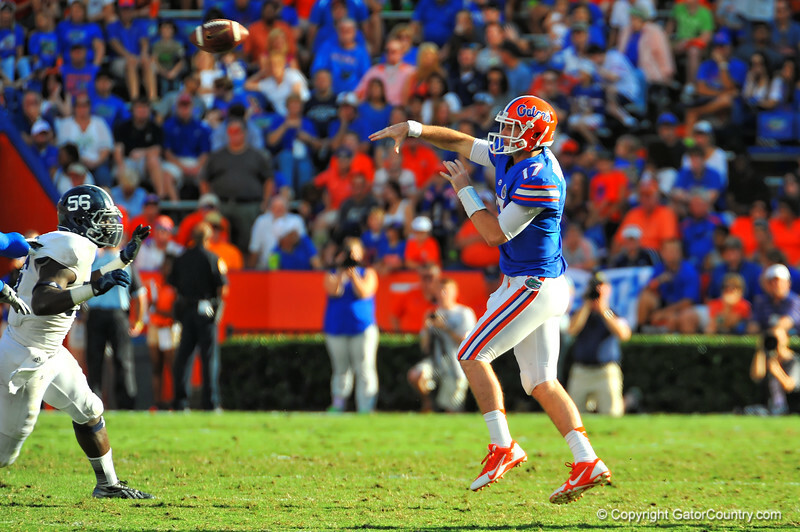 Florida Gator QB Skyler Mornhinweg jumps and throws to the open receiver in the flat in the second quarter. Florida Gators vs Georgia Southern Eagles. Gainesville, FL. November 23, 2013.